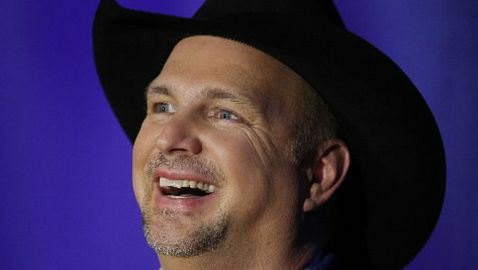 Garth Brooks is receiving a $1 million payment from an Oklahoma hospital that failed to build a women’s health center in honor of the performer’s late mother, as ruled by a jury. The hospital has to return $500,000 that Brooks donated to the hospital while also paying him $500,000 in punitive damages. The decision was handed down in the breach-of-contract lawsuit filed by Brooks against Integris Canadian Valley Regional Hospital in Yukon. Brooks claims that he thought a deal was reached back in 2005 with the president of the hospital, James Moore, but he sued the hospital after it used the donation to complete other construction projects. It was argued by the hospital that Brooks gave it unrestricted access to the donation and he asked that it build a women’s center and name it after his late mother, Colleen Brooks, later on after the donation. His mother died from cancer in 1999. Brooks described the jury as a group of heroes and said he felt vindicated because of their verdict in the case. “I no longer feel like I’m crazy,” he said. Brooks claimed that Moore suggested building a women’s center after the initial suggestion of putting Brooks’ mother’s name on an intensive care unit did not fly with Brooks. The attorney for Brooks told the jury that he kept his end of the agreement during the closing remarks. Terry Thomas, the attorney for the hospital, said that the gift from Brooks was entered anonymously and was unrestricted in 2005. When Brooks filed the lawsuit in 2009, the hospital’s attorney argued that he could not remember details of the negotiations with Moore. Deliberations began Tuesday afternoon in Rogers County District Court, with instructions from the judge to work until midnight if necessary. “This little pistol, she deserves nothing but good,” Brooks said.